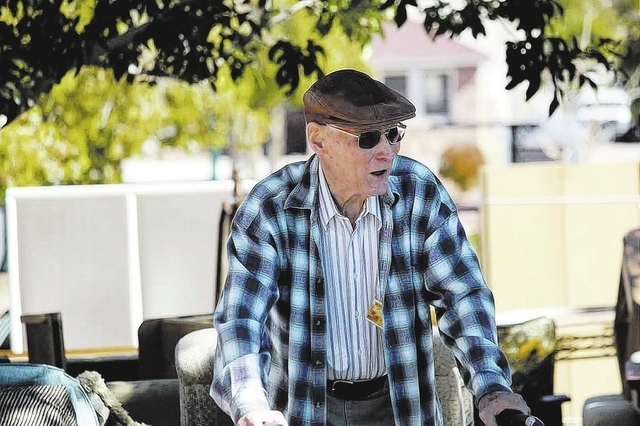 Under shady trees Don Walker scoots between tables laden with household goods, linens, jewelry and electronics. Furniture of all sorts fill the grounds behind Grace Community Church on 1150 Wyoming St. 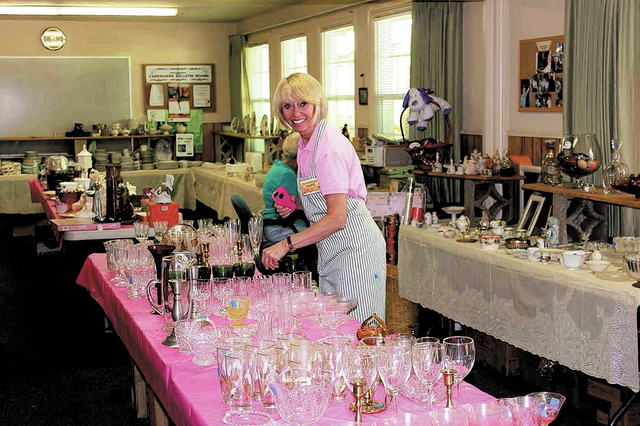 The 66th annual Country Store takes up about half a block and has about 20 departments for books, games, clothing, antiques, hardware, holiday decorations and the French Room, where high-end clothing is displayed. 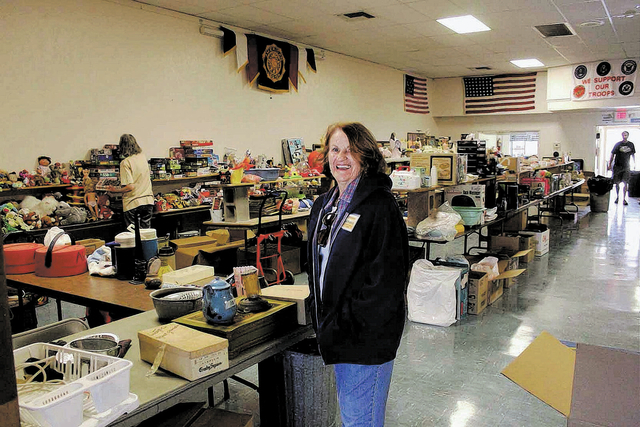 The church rents the American Legion Hall on California Way and fills it with even more toys, coffee pots, ironing boards, tools, banquet tables and other items for sale. 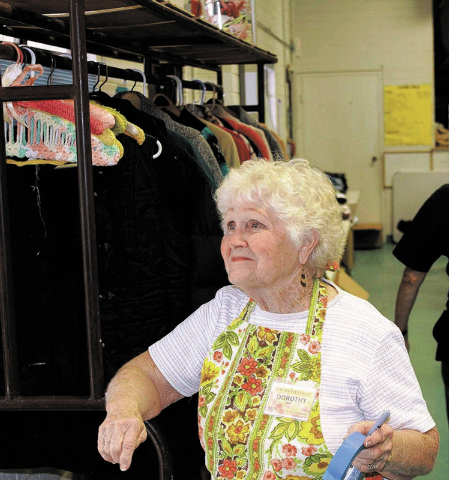 Walker said about 100 volunteers from the church, which was built in 1932 by Hoover Dam workers and has about 250 members, and the community spend a week helping set up the sale. It collects donated items throughout the year. Jack Rants and Barbara Reed have helped Walker organize the church’s major fundraiser for more than a decade. Rants, who Walker called his “warehouse manager,” said over the years the sale has had boats, cars, scooters and antiques. 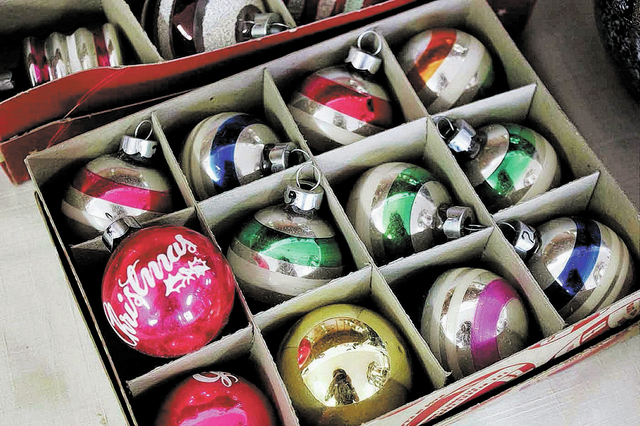 Although there is plenty of stuff to choose from, he said he could not think of anything special that stood out in this year’s stockpile. Rants’ wife, Dorothy, helps price and hang clothes in a large room near the entrance. She was born and grew up in Boulder City and said remembers the first Country Store sale. The Women’s Association held it in the church’s basement to help them fund charitable work in the community. Today, the sale raises $30,000 to $40,000 for the Women’s Association and Grace Community Church, according to Rants. That’s compared with $16,000 to $20,000 that was raised about 20 years ago when Walker started helping to organize the event, he said. Some of that money goes back into the community. Reed said the Women’s Association donates money to Lend a Hand, a nonprofit group that helps seniors and disabled residents, and Emergency Aid, the local food pantry. There are also scholarships given to children who attend the nondenominational Protestant church’s private elementary school, Grace Christian Academy. The 10-year old school has 39 students. What started out as a church fundraiser has become a communitywide event. Patricia Jacobson, a member of St. Christopher’s Episcopal Church, volunteers each year to help with the event. She said when she moved to Boulder City 40 years ago, she and her family “with two kids and one job” bought a home on Arizona Street. She furnished it all with items from the Country Store. She said people from the community and different churches come to help out each year. The Country Store will be open a.m. to 6 p.m. Friday and 8 a.m. to noon Saturday. There will be chili, pie and drinks for sale.